London accounts for 53% of all inbound visitor spend, the rest of England 35%, Scotland 8% and Wales 2%. Britain is forecast to have a tourism industry worth over £257 billion by 2025 - just under 10% of UK GDP. Following the Brexit vote the UK economy is in a state of flux, however a weak pound is, for the meanwhile, helping the hotel trade remain buoyant. However, add to this heightened security concerns, tightening corporate budgets, and slow supply growth, the future for the sector does remain uncertain. Additionally, less EU immigrants may have a negative effect on the growth of the industry given it is so reliant on this workforce. But look a little closer and the picture isn't uniformly bad, as Alistair Murchie, who heads the Cirencester office of Colliers Robert Barry, which specialises in properties in the hospitality industry, explains: "It depends so much on where you are”. "Places with a lot of tourist visitors seem to be holding up pretty well, because of the weak pound, whereas if you're dependent on conference trade you're probably finding life much more difficult. Different styles of hotels would say different things." Businesses are tightening their belts but domestic and international tourists aren’t yet. London hotels seem to be largely unscathed by shrinking business budgets, as to date, despite Brexit, large international companies remain in London, and therefore travel to the capital for work is unavoidable. Tourists also flock to the capital to take advantage of the weak pound. Americans in particular continue to travel to, and spend big, in the capital. US and Canadian tourists in London were up 16% in 2017. However, as new hotels open, and new hotel development continues, it remains to be seen whether even the London centric hotel market can fight off all the growing competition, when the appeal of the weak pound finally begins to fade. Outside of London hotels are not so reliant on the present benefits of the weak pound. There has been a determined increase in efforts to attract UK and international tourism away from the UK’s obvious main attractions, and it is working. As well as pulling in tourists from the most stable of economies such as the US, China and India, visitors from the EU are also venturing beyond London. There were 8.3 million visitors to the UK from the EU between January and April 2017, up 7% on 2016. Cities such as Manchester, Liverpool, Birmingham, Glasgow and Cardiff can expect to see the numbers of tourists rise, and they also benefit from local tourists looking for affordable accommodation for big sporting and cultural events. All things considered, hotels outside of the capital have a reason to remain hopeful too. 2016 and 2017 saw an unexpected surge in hotel demand due to the weak pound; this bought in foreign tourists, and encouraged UK residents to stay home and seek holiday accommodation within the UK. However, we cannot predict how the pound’s value will hold in 2018. It would be foolish to come to expect this level of additional interest. In addition to this, the relatively robust nature of the UK tourism industry, has meant that big international companies have chosen to invest in the UK tourism trade. This has resulted in a number of newly opened and refurbished hotels, and new large scale hotel developments. The effect is a large number of new rooms available to the market, which will make it more of a challenge to fill hotel rooms. In addition to increased competition from within the hotel industry itself, there is the growing popularity of alterative forms of accommodation, such as Airbnb, boutique B&Bs, and the fashionable glamping movement. Tourists have more options than ever before. Domestic tourists are also looking for ways to save money and alternatives to hotels are considered by some as a more cost-efficient option. Hotels will have to continue to offer cheaper options and good deals to tempt potential guests away from the market newbies. The proposed UK tourist tax is also a potential hindrance to hotel growth. London’s Mayor, Sadiq Khan, has called for a London tourist tax, to ensure that tourists invest in the city. This tax will be charged at a rate per guest, per night, and will lead to an estimated 5% rise in hotel accommodation costs for visitors. Other mayors have followed suit and started to explore the benefits of such a tax. Smaller hotel business fear that this will make them unable to compete with the hotel chains and that this will lead tourists to choose other destinations over the UK. Hoteliers fear they will have to further lower their fees to counteract this, so they will be the ones out of pocket. At the moment, there is a unified industry movement, against a tourist tax but it is still being discussed and considered by respective local councils as a way of raising income for their cities and localities. It remains to be seen as to whether the tax will actually come into play. Increasingly hotel chains are offering more budget options in addition to their regular room options, these rooms are normally booked first and ensure a base income. 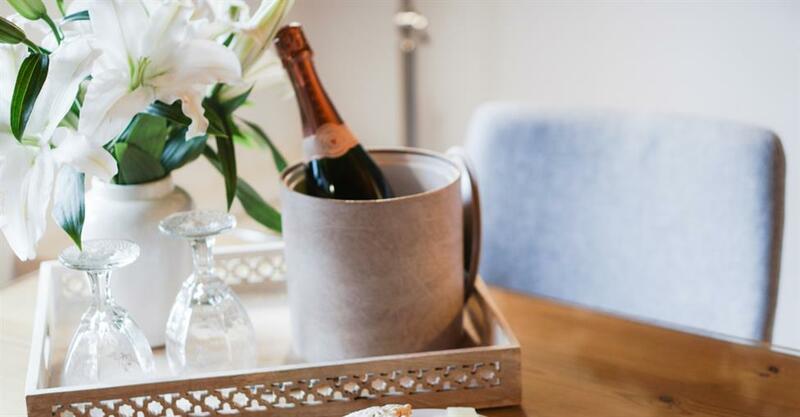 Other hotels can respond to this trend by providing a range of rooms to meet different budgets, ensuring more guests, and avoiding out-pricing domestic guests who are considering holidaying at home. But hotels are looking at other ways to bring in guests, and to encourage return visits. Many hotels are investing in their communal spaces, and even traditionally fashioned hotels are looking to modernise their design so as to add appeal. Hotels are looking to save costs by offering only what is really required, expected and considered luxury. Hotels are also beginning to consider which of the latest technological advancements guests want; it’s no longer just about free Wi-Fi. When looking for a hotel business to buy and develop you need to find “a solid business, with the property in good condition, and a good location. It's a cliché, but location is so important." Once you’ve seen the right hotel you then need to take the necessary steps to purchase it. Once you’ve found a business opportunity in the right location, with potential, you should engage with a business broker who understands the wider industry. You will also need to perform due diligence to verify the true worth of the business you wish to buy. However, you must also do your own thorough research – does this business have the potential to succeed against approaching industry challenges? Despite the uncertainties of the hospitality industry the hotels that are doing it right, and offering what tourists (both domestic and foreign) want, are going to get bookings. Few things are as inspiring in business, as a talented independent hotelier taking over an existing business and rejuvenating the staff, refurbishing its outdated decor, overhauling its modus operandi and restoring it to pride and profit. A hands-on operator, with an antenna for potential, passion for the sector, and know-how of what makes a hotel function well, will thrive. Independent hotels can compete with major groups on customer service and superior, more characterful, facilities, especially if they respond to the developing trends as previously discussed, and look towards new ways of reinventing the hotel industry. "We still find there is huge customer demand for privately owned, owner-operator businesses," insists Murchie. "There is still scope in this country for the private operator to thrive." Whether working for a hotel within a hotel franchise, or as an independent, the hospitality industry does demand a certain type of lifestyle. It can be long and unsociable hours, sometimes working with difficult and demanding guests. This aspect of the industry is unlikely to change. Despite the downsides, Murchie, who operated the award-winning Highland Hotel, says that "if you have the skills to run a business well you can make a very good living”. Essential skills still include excellent customer service, attention to detail, business acumen and a passion for the hospitality sector. And to thrive you must respond to the fluctuating markets and always be looking for ways to attract new business. Running a hotel is a learning experience and all good hoteliers must adapt and evolve. Because of a number challenges across the board, we can expect sector growth to slow in 2018 compared to 2017. Some hotels have reported a drop in domestic weekend tourism and a surprising lack of interest from tourists in growing economies, such as the Middle East. However, surprise negative turns could be met by positive additions to the sector; for example, the opening of London’s Crossrail could revitalise domestic tourism with more Brits choosing to spend a weekend in their own capital. We can also expect to see a continued rise in domestic tourism in other UK cities, especially around big sporting and cultural events. As the UK pound begins to settle it may also be time for independent hotel operators to invest and for established hoteliers to buy new hotel properties. But the truth is that the future cannot be predicted, and only time will tell whether the political and economic shifts of the next 12-months will help or hinder the sector.